The Thrifty New England Traveler is a blog of VisitingNewEngland.com, the travel site for New England. 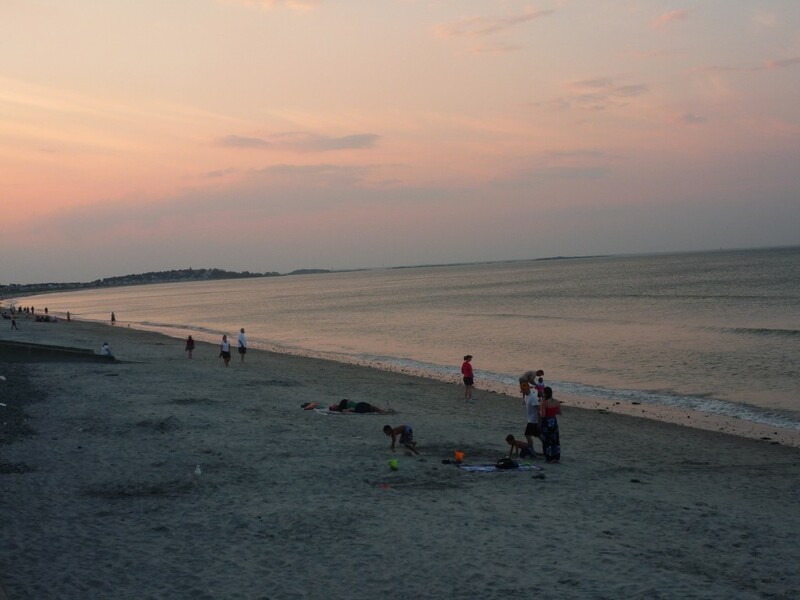 One of a half miles of continuous, sandy oceanfront beach is a lot in the Boston area, so, to many, Nantasket Beach in Hull, Mass., comes across as a coastal oasis. but is also great for refreshing walks from fall to spring. Just be sure to choose a good weather day! The surrounding area is a bit of a mix with some ramshackle beach front elements left over from the Paragon Park amusement park days, but once you’re on the beach, you feel like you’re a million miles away from the fast pace of suburban Boston. Additional note: during the warm weather season, put the Paragon Carousel on your must-see Nantasket Beach attractions. This historic carousel from 1928 features 24 restored shiny horses and a Wurlitzer band organ! ← Dining Like a King on a Pauper’s Budget in Walpole, Mass.